With a GFA of 144,174m2, World Trade Centre 3 comprises 41 storeys and 5 basements. 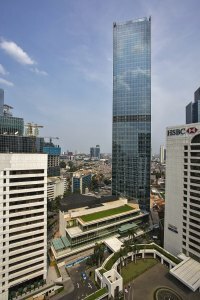 World Trade Centre 2 in Jakarta is an A Grade office building comprising 27 storeys of commercial tenancies and 4,000 m² of ground floor retail. With a GFA of 127,773 m2, this development consists of a 47-storey Grade A office tower and a 5-storey basement. UResidence is a 38-storey residential tower with a gross floor area of approximately 69,000 m². 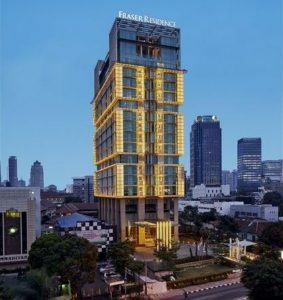 Situated in Karawaci, Tangerang, U-Residence 1 is a 38-storey apartment tower with approximate Gross Floor Area of 68,313 m2. U-Residence 3 Hotel and Apartments is a mixed use tower comprising hotel, apartment and parking building which includes facilities, commercial area and basement parking. With a GFA of 80,000 m2, this development consists of two 48-Storey apartment towers and a 3-storey podium atop a 2-level basement. 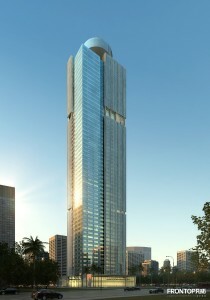 The 36 level Concord Apartment building in Jakarta development includes 29,000 m² of luxury apartments. The Solitaire is a mixed use development comprising two office towers, residential towers and a hotel with a total of approximately 398,685 m². With a GFA of 12,500 m2, this 10 to 20-storey apartment building consists of a 1-storey basement and is situated in Menteng, Jakarta. WT Partnership provided full quantity surveying services for the construction of a luxury residential villa in Pecatu, Bali. TMTC’s Convergence building is a17-storey building incorporating 43,000 m² of office space for the telecommunications, media and information technology business plus television studios and theatre. The Ambassade, Towers A & B are two residential apartment towers of 23 and 29 levels respectively situated in Jl. Denpasar, Kuningan, Jakarta Selatan. Thee Taman Rasuna Residential development in central Jakarta is the largest high-rise residential development in Indonesia, comprising more than 3,600 apartments in 17 separate towers. WTP provided full Quantity Surveying services in 2012 for this mixed use development situated in Karawang, West Java. Supermal Balikpapan is a mixed use tower comprising hotel, apartment, mall, shophouses and office with a total Gross Floor Area of 250,000m2. WTP provided services for this 6,500m2 Santa Fe Warehouse and Office situated in Karanggan, Gunung Putri, West Java. Construction of a 10 level office building (15,000 m2) with roof top penthouse and swimming pool situated at Jl. Adityawarman, Jakarta Selatan. WT Partnership played a key role in the planning, works packaging, cost management and control of the Ratu Prabu 2 Office Tower project in Jakarta. WT Partnership is providing a full Quantity Surveying and Cost Planning services for Rasuna Tower, the tallest building in Jakarta reaching 292 m (882 ft). WTP was appointed to provide services for Rasuna Epicentrum, one of the largest and most ambitious mixed-use developments in South East Asia. WTP provided services for this multi-tower high-rise residential development situated in Rungkut, Surabaya, East Java. The Plaza Ambarukmo retail mall in Jogjakarta, Central Java is the first high-end retail development in the Province. WT Partnership provided quantity surveying services for the construction of the 21-storey Permata Kunigan office tower. Paragon City is a mixed use complex comprising hypermarket, retail mall, hotel and convention centre with approximate GFA of 140,500 m². Pakuwon PTC Supermall is a large scale retail development with approximate gross floor area of 240,000 m². WTP provided services for the One Weatherford office and warehouse facility situated in Bekasi. WTP provided services for Office KAV 81, a 13-storey office tower located in Jl. S. Parman, West Jakarta. WT Partnership was appointed to provide full Cost Management services to the Australian Department of Foreign Affairs and Trade for the new Australian embassy in Jakarta. 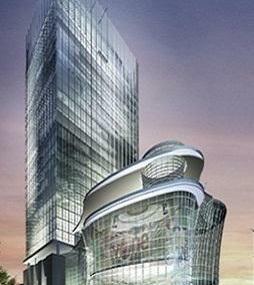 Mega Glodok Kemayaoran is a mixed use development which comprises retail mall, trade centre, two office towers, exhibition space and associated facilities. WTP provide services for the Maliboro Heritage Condominium Hotel situated in Jogjakarta which comprises 110 guestrooms. WTP provided services for this prestigious retail development, Bandung, West Java in 2014. Situated in Seminyak, Bali, this luxurious beach front residence (950 m²) was completed in 2002. The Landmark/ National Data Centre project comprised fitting out works of 1,400 m² office and data centre situated at Plaza BRI II, Jakarta. WTP provided full Quantity Surveying services for this 5-Storey luxurious apartment development situated in Menteng, Jakarta. WTP provided services for the 15-storey KG Office Building. Situated in Jl. Kebon Sirih, Central Jakarta. 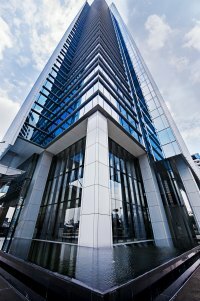 WTP provided services for this commercial office tower situated in Kebon Sirih, Central Jakarta in 2014. WTP was appointed to provide services for the Kebon Melati Mixed Use Development, comprising The Residence, Grand Residence, City Residence and Retail facilities. The Jotun Paint Factory, Bekasi comprises 8,400 m² warehouse, production and office building situated in Cibitung, Bekasi, Indonesia. WTP provided services for the construction of the new F Module classroom block at Jakarta International School. The construction of G Module project at the Jakarta International School Campus, Cilandak, of approximately 6,000 m². WTP provided full Quantity Surveying services for IKEA Store at Alam Sutera, Tangerang with a GFA of 65,000m2. The development consists of Trans Studio Hotel (5 star – 300 rooms) and Ibis Hotel (3 star – 600 rooms), situated in Bandung, West Java. Renovation and expansion of existing Hotel Grand Kemang comprising 169 guestrooms and 19 apartments. Operated by Intercontinental Group, the 4-star hotel (200 rooms) comprises a beachside restaurant, owner’s villa and spa centre. Completed in 2005, Halliburton Office and Workshop comprises 3,000 m² hardstand and utility building. WTP provided services for Halliburton Mud Liquid Plant situated in Tangguh, West Papua.